2005 was a year of huge upheaval for me. I knew I wanted to spend more time in China, rather than just leaving at the end of my study year, but I still had a return ticket and things to sort out in Australia. In January I took my final exams at BLCU, stored a bunch of things with friends, and then got on a plane back to Australia. While there I was a bridesmaid at my best friend’s wedding, replaced my broken camera, got a series of acupuncture treatments for my tendinitis, talked to my advisor at ANU (my university) to get everything in order to officially graduate, worked one morning a week as a receptionist at my home church, celebrated my sister’s 21st birthday, and planned my return to Beijing. I arrived back in Beijing with NO IDEA how I was going to make this China thing work. I had a 30 day tourist visa, no job, not much money, and no plans. My friend Tania (one of my heroes of my first year) invited me to crash on her couch so there I was, wondering what on earth would come next. A lot happened in the next 6 months. Lynn offered me a place to live right away and a week after arriving I was settling in there. 5 weeks later she connected me with a one-off project. That turned into a one month internship, which turned into two months (splitting time between a publishing business and an English-teaching business) by the end of which I’d been offered a job as an administrative assistant at the international church I attended. A month later I moved out of Lynn’s place into my own apartment near the church. By then I had started helping out at the youth group, which would change my life. And in November, six months after arriving back in Beijing, I helped run my first Beijing youth camps. Like I said, a LOT happened in those 6 months. As with my first year, I would never have made it without the wonderful friends I made. Some of the most important friendships of my twenties started in that six months. Of all of them, though, 6 stand out as anchors who helped me make the transition from student to adult. Lynn really got me on my feet in the face of the unknown future; I learned so much from her, and her care for me made what could have been an awful situation into something great. We didn’t know each other very well – a friend introduced us the year before and then I taught her Sunday School class for a few weeks while she was away that summer. But she and Pearl took me in as their roommate, even letting me stay for free at first. They were both so sweet to me. I was freaking out a lot – I didn’t know what I was doing, or how things were going to work out. I moved in just over a week before my 23rd birthday, and Lynn even gave me a little present than meant the world to me in the midst of my chaos. They had a paying flatmate coming for a month in summer, and in the end I stayed on a mattress on the floor in Lynn’s bedroom for that month, since by then I was working nearby. That’s some pretty amazing friendship right there. Lynn was very much a big sister when I felt overwhelmed. Even though I lived there less than 6 months, it had a huge impact on me, and we’ve stayed friends – and still joke about whether she kicked me out or I abandoned her! We travelled together on my first visit to Yunnan, I stayed with her and Pearl for severals weekends during my time in Langfang, and spent two Chinese new years with them. Lynn was even at my Chinaversary party, coming straight from the train station after being in another town all day. Sharee’ is another person I had met in 2004 but didn’t really get to know until 2005. Soon after my return most of the people I had known the year before were away – either moved away or left for the summer. But Sharee was living close to Lynn and was there all summer. I spent a LOT of time at her place, borrowing her books, and learning to bake some American classics – choc-chip cookies, brownies, cherry pie from scratch, biscuits and sausage gravy… As with Lynn, it was a short season but so important to me, especially at that point in my life. We stayed in touch even after she left China, I went to Texas for her wedding (to Daniel, another hero of my first year), and I love that they are back here again, even if I don’t see them very often. Rob was the boss who gave me a shot at an internship. He saw value in me, in my abilities – the first time that happened to me in a professional environment. I was quite intimidated by him at the beginning, but also felt encouraged to work harder, to be better. I was only there two months, although our paths would cross over and over in the following years – his daughters would be in my first youth small group over a year later. While I’m sure those two months were no more than a blip to him and the people there, I look back at those two months as the first solid ground of my new China life. The Chinese colleagues I worked with taught me a lot, the routine was great for me, and I really hit my stride at the end of my time playing hostess to a group of visitors from various publishing companies who came for the Beijing International Book Fair. It was an exhausting week but I enjoyed the work so much I took a week off from my job the next year to do it again! I am thankful that Rob gave me a chance, thankful for an opportunity that was exactly what I needed. Bruce and Audrey ran the English-teaching company I worked for during that summer. They were an older Australian couple and endlessly sweet to me. They provided a touch of family to my life that made me feel more grounded and less alone. They invited me to spend Christmas 2005 with them. Their son and his girlfriend had flown in from Sydney, and I felt very humbled to be included in their intimate family gathering. We ate at the buffet of the Shangri-la hotel on a beautiful winter day, and it remains a very special memory. It was the first time overseas I really felt I was being grafted into a family. My own family is wonderful, and I enjoy being with them; I never expected to be able to experience a reflection of that as an expatriate in China. Bruce and Audrey now live in Sydney, near where I will be next year, and I look forward to seeing them there! Of all the people I’ve known in China, Joe is probably the one I’ve spent the most time with. He is family – my big brother and a cherished friend. We have SO much history. We met in 2004 when I auditioned for the worship team, and soon after was helping with administration. My first Sunday back at church upon my return in 2005 Joe saw me from the stage and waved. I didn’t realise he was waving at me (it’s a 1000+ seat auditorium, and I couldn’t imagine I was important enough to wave at) so I didn’t wave back; years later he had a dig at me for ignoring him and I realised my mistake! He might have been teasing me but I felt super-special. Joe had a huge influence on me during the upheaval of my second year. He was the one who set me up with my first apartment – an apartment he used to live in, with a landlady who loved him and made life easier for me than for most. He was the one who kept inviting me to youth group despite the number of times I turned down the invitation until I finally went and loved it. He was the one who helped me feel more at home in my new life. We’ve now done worship ministry AND youth ministry together at two different international churches in Beijing. He’s still my favourite person to SING with! But what really makes Joe really special is that despite the fact we are VERY different people, with resulting clashes, the friendship comes first. Joe believes in me even when I don’t have things together; he reaches out to me even when I’m being bratty. That big brother love is priceless. 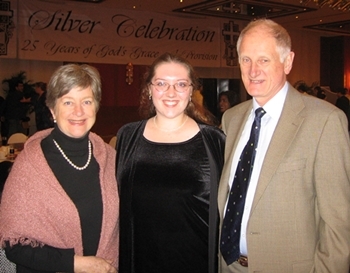 My second year in China, 2005, was in many ways the beginning of my adult life – and all these people helped me make the transition to living independently in a foreign land. I can’t imagine how that year would have turned out without each of them, and they will always be a big part of my China story.